Google made a great doodle of the first-ever image of a black hole ●. This black hole is in Messier 87 (abbreviated as M87), a giant galaxy in the constellation Virgo. The black hole is several billion times more massive than our Sun. Lucky for us, it is about 53 million light years from Earth. What will happen to a human falling into a black hole? Based on the mathematics in Einstein’s general theory of relativity of 1915, you would fall through the event horizon unscathed, then the force of gravity would pull you into a very long noodle and ultimately cram you into singularity, the black hole’s infinitely dense core. Ouch? 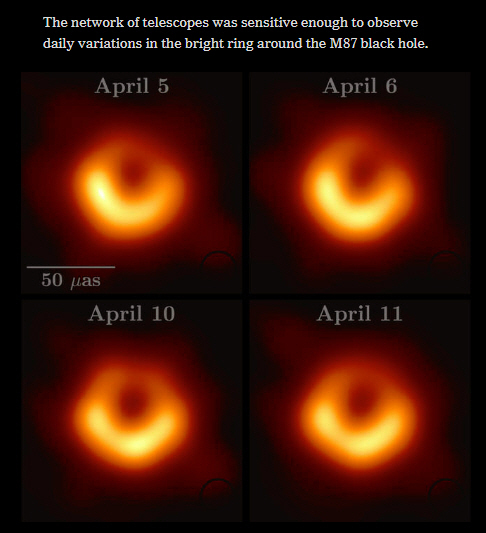 Images of the M87 black hole. [Source: New York Times]. The line and the 50 μas shown in the picture is 50 millionths of an arc-second, an angle unit of measure. That is a vanishingly small sliver of an angle that the radio telescopes had to pin down. 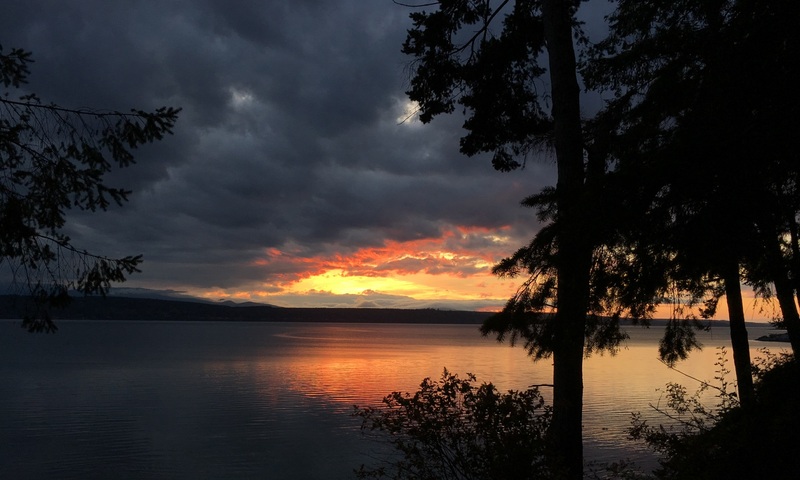 For comparison, the angular diameter of the Sun comes in at 32′ (minutes) and that of Venus at about 1′ (one minute). One degree equals 60 minutes, one minute equals 60 seconds. The elements of a black hole. Black holes were predicted by Einstein’s general theory of relativity that was published in 1916. 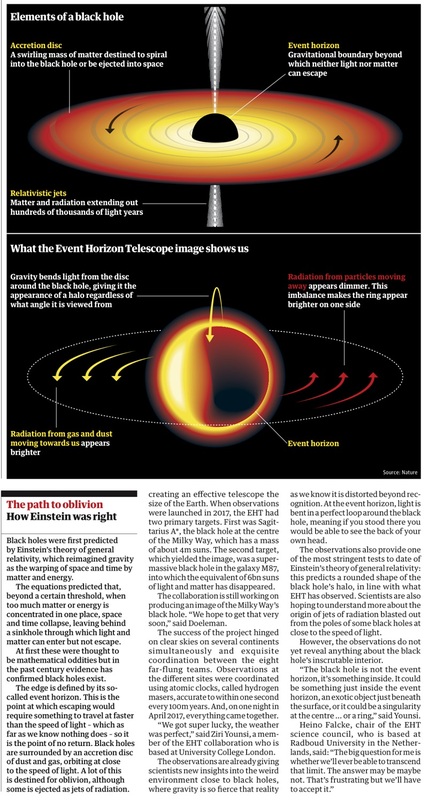 [Diagrams and article: The Guardian newspaper]. Next PostNext Thursday/ Brexit .. will we ever see it?